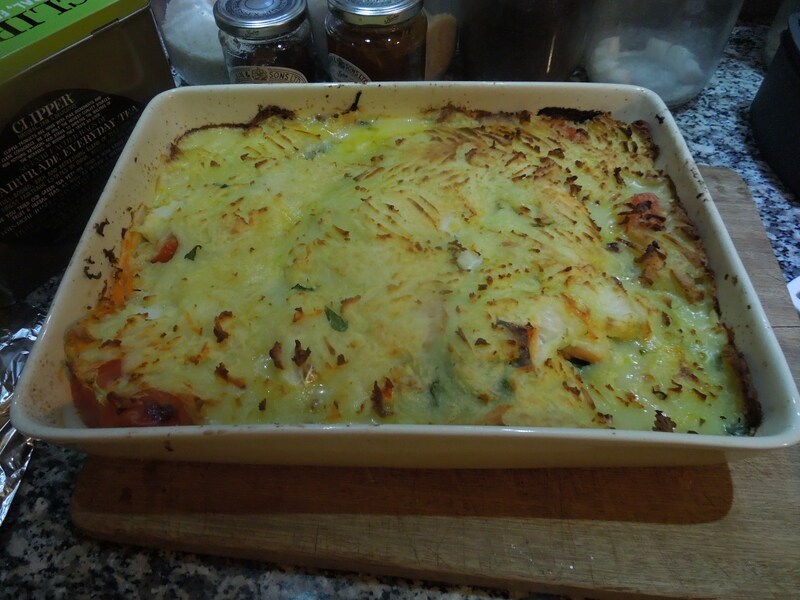 As I hadn’t cooked pone for some time, I decided to cook one of my version of Jamie’s Oliver’s Fish Pie. I could have perhaps put a few more potatoes on top, but otherwise it was good. My other worry, is that how long will the remainder keep in the fridge!